Double the measurements in this recipe to make it for two. 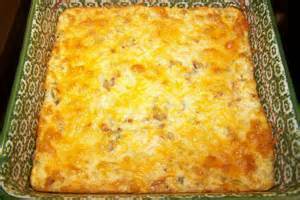 To make this a low-carb meal, sprinkle shredded cheddar cheese over top of the burrito. To make this a high-carb meal, wrap the burrito in a whole-grain tortilla, brown-rice tortilla or two corn tortillas. Spritz cooking spray in a medium nonstick pan over medium heat. Add turkey and cook through. Set aside. In a large bowl, whisk egg whites for about 45 seconds. In another nonstick pan over medium-high heat, spritz cooking spray. Add the egg whites to the pan. As the egg starts to set, add turkey and baby spinach and scramble until cooked. Wrap the turkey-egg-spinach mixture in one for two leaves of romaine lettuce. Spoon the salsa over the top, then roll up and enjoy! We have all heard of the importance of having a good breakfast, but still many of us don’t put the time aside in our busy schedules to fuel our bodies for the day. Whether it’s because we are simply not hungry when we get up, or because we are in a rush to get the kids to school or get to work, having a healthy breakfast starts your day in the right way, by providing egg breakfast your body with essential energy and nourishment. Because your body has been resting overnight, you need food for energy and it can be hard to function mentally and physically when you have no fuel in your body. When you skip breakfast you experience lows in energy throughout the morning and you are far more likely to reach for unhealthy fast foods on the run, to compensate for the lack of energy experienced. Eating a good breakfast earlier in the day also means you are not as likely to snack on unhealthy fast foods. Starting the day in the right way helps to stimulate the digestive system so that it’s set up for the rest of the day. Complex carbohydrates – wholegrain oatmeal, preferably steel cut so that the kernels contain omega 3’s. Oatmeal offers a slow release of carbohydrates, preventing spikes in your blood sugar and therefore gives you a long lasting supply of energy. Carbohydrates are known to boost energy. Protein – eggs, oily fish, nuts and seeds. Protein will also provide you with a slow release of energy throughout the day. Protein is essential for cell repair, muscle growth, and supporting your immune system. Eggs can be one of the quickest and easiest ways to get a good quality, clean protein fix. Green vegetables and low sugar fruits – broccoli, spinach, lemons and blueberries. These are not only full of essential complex carbs and proteins, but they are also packed with vitamins, minerals and antioxidants. Try to add a simple side serving of salad to toast and eggs cooked in your favourite style. Breakfast salads have become increasingly popular in recent times and while you might have the idea in your mind that salads are traditionally suited for dinner, you won’t know until you try! Opt for fresh spinach leaves over lettuce, combined with tomatoes and avocados with a light drizzling of olive oil. Get creative and use leftovers from last night’s dinner, rice or cold pasta make a great base for a breakfast salad. A salad is a quick, easy and healthy option for a rushed breakfast. There are so many options out there for a healthy fruit smoothie for breakfast. Including blueberries in your smoothie will fruit smoothie ensure you get some of the most potent levels of antioxidants available out of all fruits. Blueberries are also high in vitamin C & K, manganese and fiber. Don’t also forget the vast array of vegetable smoothies out there. You can mask the bitter or strong taste of any vegetables by combining fruit into the smoothie for a sweeter flavour-which is much preferable first thing in the morning. Foods high in Omega 3’s – A study published in the journal “Diabetes Care” in July 2007 found that diets rich in monounsaturated fats prevented the accumulation of both types of belly fat, without additional exercise. Omega 3’s have been found to improve heart health, regulate cholesterol levels and improve brain function and memory. Omega 3’s can be found naturally in fish, oils, nuts and seeds. Grilled salmon can be a tasty addition to your morning breakfast and enjoyed as a weekly treat, accompanied by a breakfast salad or eggs. You read many different types of advice, because there are many different types of bodies, and conditions to go along with them. Contact us if you would like a personalized health care plan. Feel free to share this with your loved ones. The challenge to be informed about what we are eating grows ever more complex. Many people trust Trader Joe’s as one of the smaller grocery store chains offering higher quality foods without unnecessary additives, and other harmful ingredients that can cause cancer, neurological damage, or developmental delays. 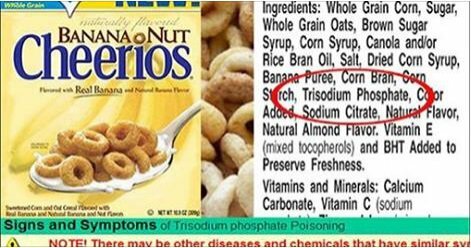 But one mom recently found trisodium phosphate, an industrial strength paint thinner in her children’s Trader Joe’s breakfast cereal, and she is wondering what it is doing there. (The ingredient is found in other popular cereals as well). Trisodium phosphate, otherwise known as trisodium orthophosphate, sodium phosphate, or TSP,is well known byconstruction workers, DIYers, and developers, but not to most parents shopping for their morning meal. It is an inorganic phosphate which can be detrimental to our health. It is often used in place of mineral spirits to remove paint! It isn’t just Trader Joe’s that sells cereal containing TSP; it is in hundreds of foods, in dozens of stores, as an ‘additive’ which the FDA has called ‘safe,’ but even the activist environmental group The Clean Water Act has taken steps to limit the use of TSP in cleaning supplies because it damages the environment. Shouldn’t that give pause to the food industry, and make them question why it should be in our food? It shows up in toothpaste, hair color, processed cheeses and meats, canned soups, and even mouthwash. What kind of ‘additive’ is this anyway?